Manchester United’s Louis van Gaal gave Jesse Lingard his first competitive minutes of the season away at Goodison Park yesterday, and the winger certainly threw his marker down by putting in a solid performance for the duration of the second half. After the game, Lingard told United’s official TV channel just exactly what the gaffer told him before coming on. Whilst speaking to MUTV, Jesse Lingard said: “It was a great win away from home, it was good to bounce back from the Arsenal defeat but we prepared well all week for the game and were ready to start on the front foot. He added: “He just told me to come inside when we had the ball and defend on the inside as well. He told me to watch [Brendan] Galloway’s runs because he was staying high up the pitch in the first half so he wanted me to track his runs in the second half. 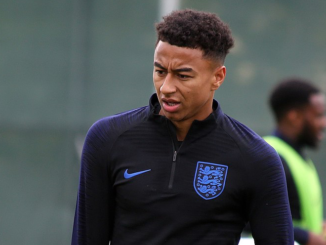 It was great to see Jesse Lingard involved yesterday. Louis van Gaal clearly has a lot of faith in the young winger, and he repaid that faith with a nice little cameo in the second half. He kept the defence busy from the off and kept United moving in the right direction. If he keeps putting in performances like that then he could feature on a regular basis for Manchester United this term.